You know that annoying "drip, drip, drip" sound that your kitchen faucet makes (sometimes even the best ones drip), but you maybe don't know how to fix it. So, instead, you push down on the handle as hard as you can in the hopes that you can cut off that last little bit of water. Sometimes it works for a half an hour, but then you hear it again. You're not alone. Many people have this problem, but they ignore it because they aren't sure how to fix it. It's actually not as difficult of a project as you might think, and to help you out, here are a few tips to help you fix your dripping faucet. 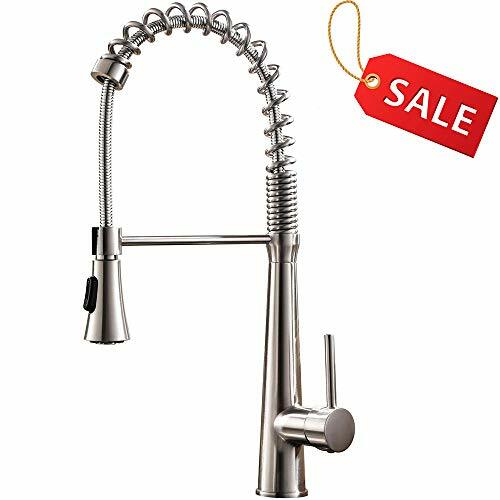 In terms of the mechanical build, there are four basic types of kitchen faucets: compression faucets, ball faucets, ceramic disk faucets, and cartridge faucets. Compression faucets usually have a hot water lever and a cold water lever. Cartridge, ball, and ceramic disk faucets typically have a single handle that the user swivels to adjust the temperature of the water. The type of faucet you have will determine the mechanisms of the faucet, and knowing the kind of faucet that you have will tell you how you will need to fix it. Whenever you do any plumbing, the first step it to close off the water source from the area that you will be working on. With a kitchen sink, you can either close the valves under the sink or shut off the water main. You will then need to empty the faucet of any remaining water by turning the handles open and letting the water empty out. You will also want to put some kind of plug in the drain. This can be a metal or rubber stopper, or it can be a regular rag. The purpose of plugging the drain is to avoid allowing any pieces from falling down the drain. If you have a mixing cartridge-style faucet, there will be a decorative cap that you will need to pry off. You will then need to remove the cartridge and pull it out. In the single-handled cartridge-style faucet, the most likely reason that you have a drip is that the rubber O-ring is worn out or the cartridge needs to be replaced. With a ball faucet, you will likely need to buy a kit. For a ceramic disk faucet, you might need to replace several washers. For a compression faucet, you will need a wrench to remove the handle. As is often the case with dripping faucets, a worn-out rubber O-ring is likely the reason that the faucet is dripping. As you're disassembling the faucet, be sure to remember the way that it pulled apart; you assembly will be the same, only in reverse. If you make sure that you are aware as you are pulling it apart, your reassembly will be much quicker. Turn the water back on by turning the water main or valves under the sink. You will then want to turn the water on the faucet back on slowly. There might be a slight delay as the air in the pipes is forced out by the water. The water should then turn on. If you still have leaks, you will need to recheck your work. Hopefully, this helps you fix that annoying "drip" sound. The project should take you less than an hour, so it will be worth the time to save a little money on your water bill.